New basket, very small. Made from a few lengths of Sticky Willie twined to rope as we walked along the Loch Leven path, plus some willow twigs collected on the way back. 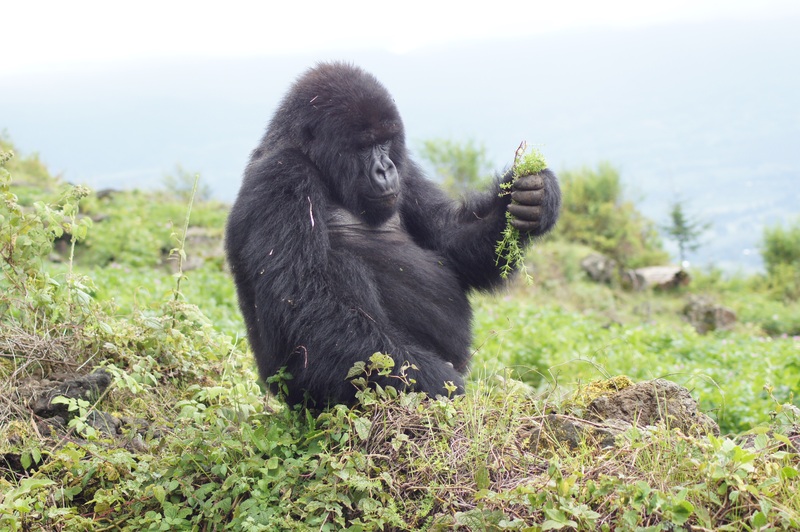 Here’s a photo of a lady gorilla preparing a goosegrass snack. She was photographed in Rwanda by Bill Wilson. Bill says that the plant is probably the same species of sticky willie as ours. 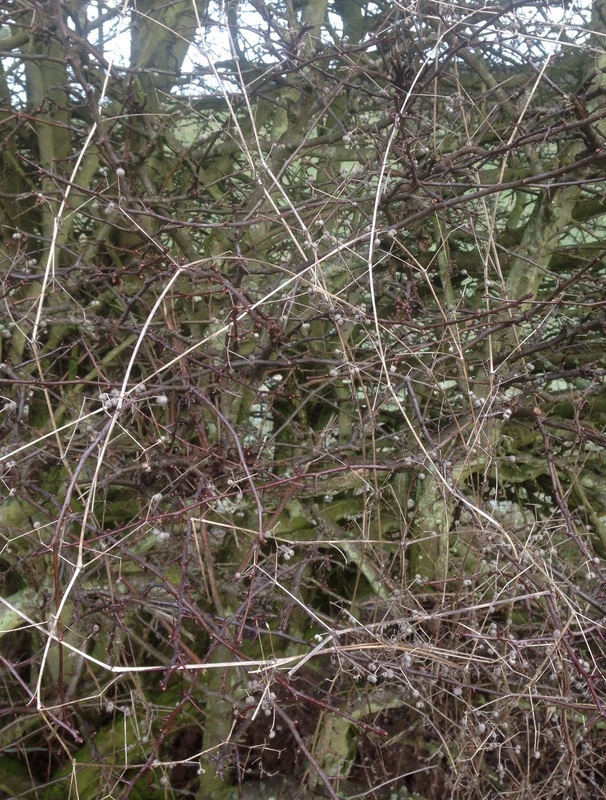 He took the photograph on the edge of farmland – it’s likely we have given them quite a few of our agricultural weeds. Goosegrass, cleavers, sticky willie, Galium aparine, bedstraw. 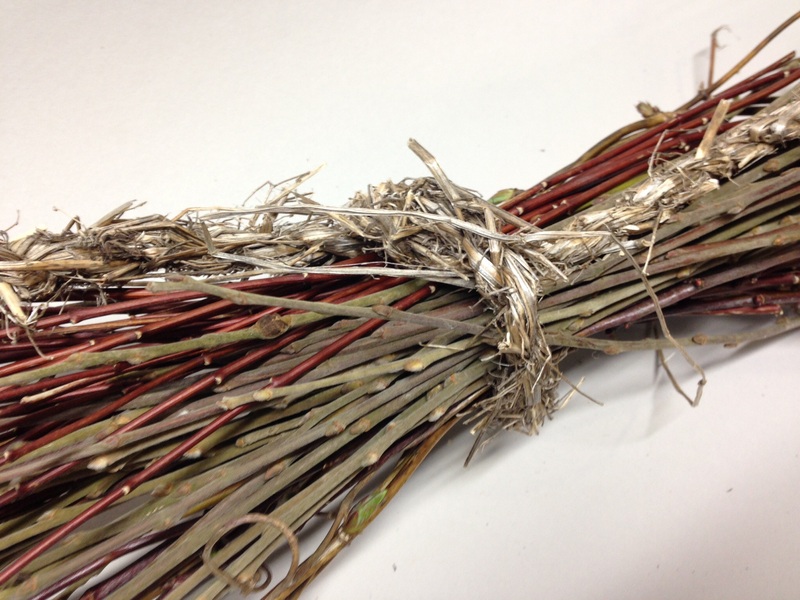 The dried stems were more than six feet long and easy to pull off the hawthorn. Dozens of adhesive little seeds tranferred themselves to my hat. A car passed and I didn’t catch the driver’s eye. I walked on up the road, twisting and turning the straw into rope. I tested it for strength and it was good. Ten feet of goosegrass rope to play with! 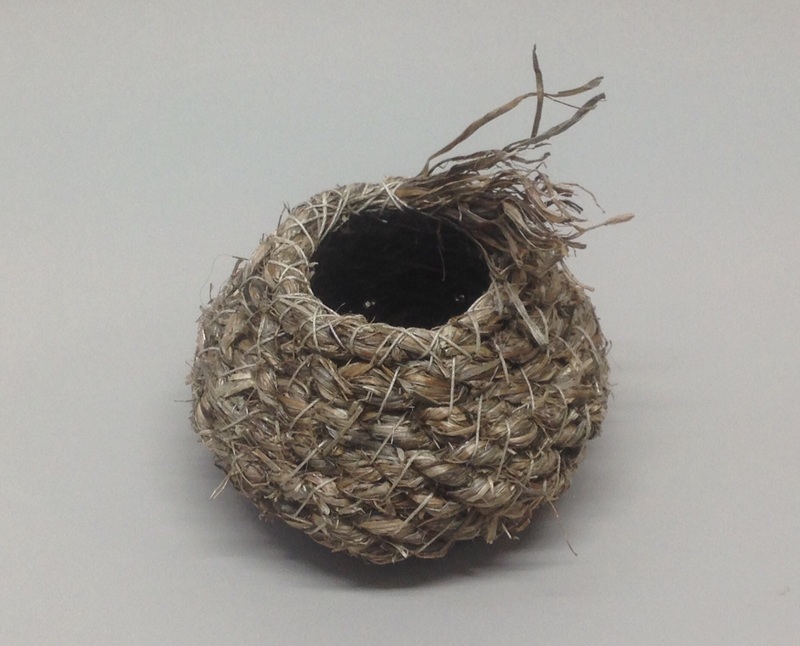 I kept it for a few days before deciding what to do with it, then stitched this basket with beeswaxed linen thread. I left the last strands of straw free. I like the ‘wind in its hair’ effect. The basket has a sweet scent, like a warm meadow.